Residents in Baltimore, MD are wondering why a “U.S. Navy” blimp has been floating over their heads for more than a week now. CBS is reporting that, according to the military, the blimp is “conducting aerial mapping.” However, it begs the question: In this day and age of constantly evolving, state-of-the-art video surveillance methods, why would the United States Navy use a blimp for mapping purposes? Anyone with an internet connection today can go to Google Maps or Google Earth and see nearly every “nook and cranny” of various cities and landscapes (even the “Street View!”), and that’s just what’s available to the public! Surely the United States Navy has access to countless high-tech satellites, and as we all bluntly learned from the NSA leaks, the military and government agencies clearly aren’t afraid or hesitant to use unconventional surveillance technologies (whether it’s legal or not). So why use a seemingly obsolete aircraft like a blimp? Last year, the Navy Times reported that the blimp program was being suspended in order to save money in the Defense Department. “It is being deflated. It’s not that we have a lack of funding. We have a lack of mission,” said Doug Abbotts, a spokesman at the Naval Air Systems Command center at Naval Air Station Patuxent River, Md. The blimp itself is a lighter-than-air MZ-3A. It’s 200-feet-long, is powered by two 180 horsepower engines and can remain stationary in the air for more than 12 hours. It began roaming above Washington D.C. on September 21st and is scheduled to remain active in the D.C./Baltimore area until October 5th, at which point it will fly to a base in New Jersey. So I hear this big white US Navy blimp that has been flying around Baltimore for a week now is just mapping the area, sure it is. Wait does the government shut down mean that I won't be seeing that spy blimp hovering over baltimore county today? 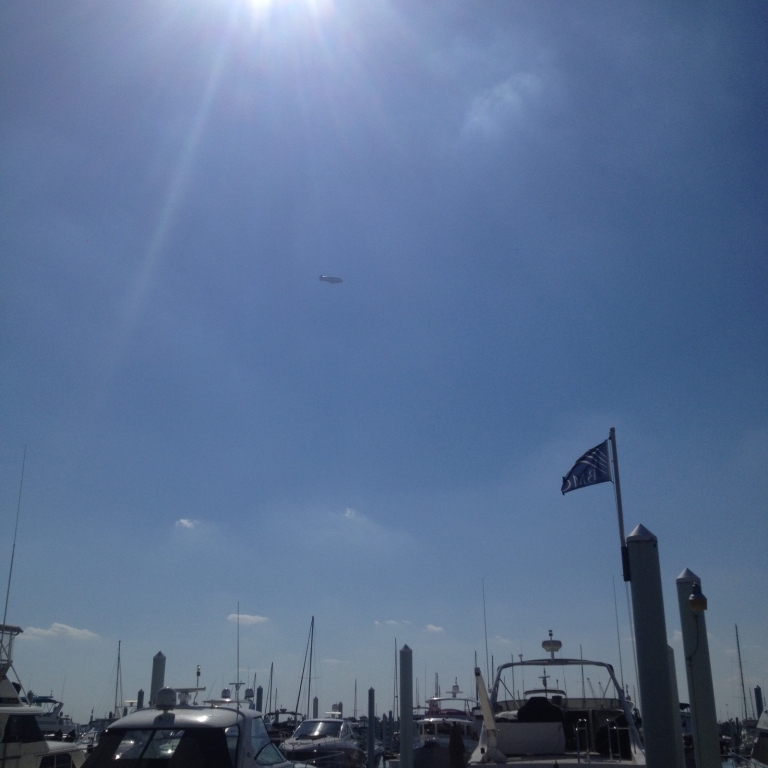 This blimp hovering over Baltimore …. suspiciousness. Who what when where why??? However, this isn’t the first time that we’re hearing about the government utilizing blimps, as the new JLENS system is still gearing up to permanently protect the Washington D.C. area starting next year. 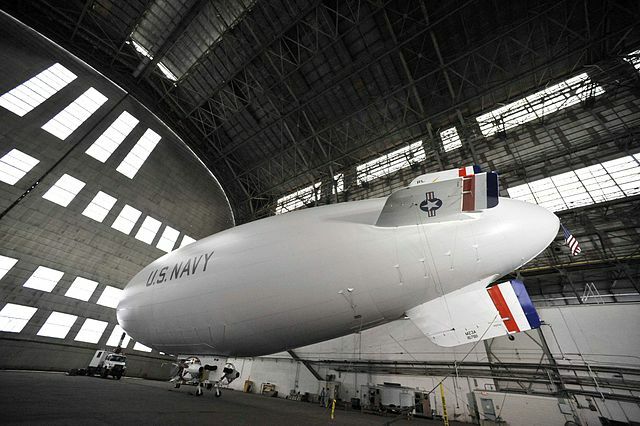 But the key difference between JLENS and the “Baltimore Blimp,” as it’s being referred to, is that the purpose for JLENS makes sense: To protect our nations capital from land, air and sea. Meanwhile, the “mapping” explanation for the Baltimore Blimp leaves questions.